Paper: Dome Shape cardboard box on silver Dew drop printed blue silk handmade paper. Inside Lining and scroll in Silver handmade paper. 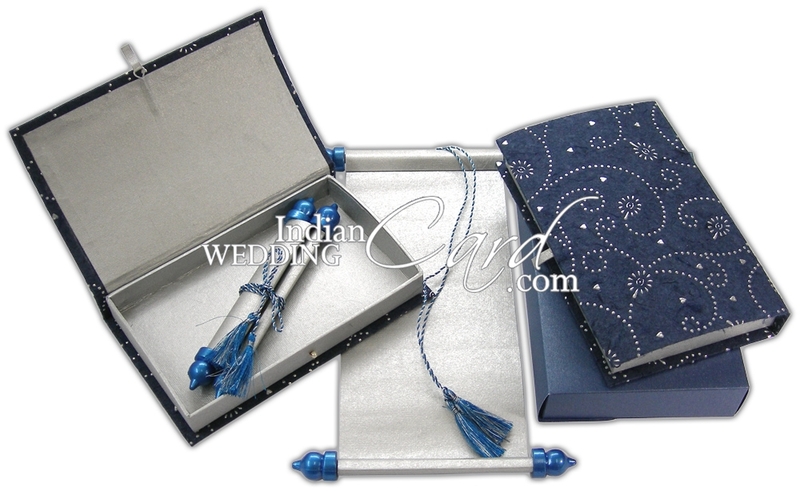 Mailing box in Blue color shimmery paper.